Software Studies Initiative: new article by Lev Manovich: "Media After Software"
new article by Lev Manovich: "Media After Software"
Lev Manovich. "Media After Software." Forthcoming in Journal of Visual Culture, volume 12, number 1, April 2013. 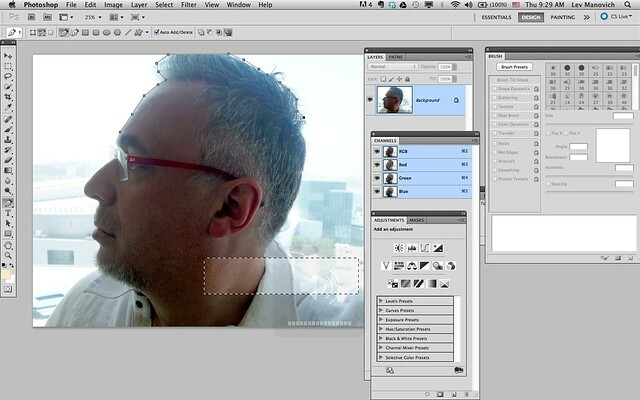 Manovich.Media After Software.2012.pdf (1.7 MB). 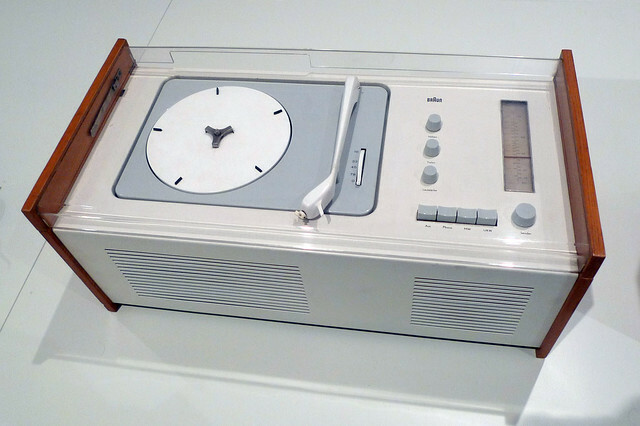 Dieter Rams. Braun record player, 1956. Rams can be called the first interface designer. His designs of media recording and access devices – cameras, record players, magnetic tape players, etc. – created the aesthetics of interface, and defined a new type of consumer object dominated by controls. "For users who interact with media content through application software, the 'properties' of digital media are defined by the particular software as opposed to solely being contained in the actual content (i.e., inside digital files). For example, depending if you open an image file in the default media viewer of your computing device, or in Photoshop, its 'properties change dramatically." or in a book did not affect this information." Yes, it did, and does. The context of human experience is very much part of the "information". If I see a picture in an art gallery I think very differently of it than I do if I see it in my family photo album. Experiencing media through software is quite comparable to experiencing it through a physical medium; like television. The context affects ones experience of the media and what meaning one attributes it. It also affects how one can and cannot act on the media. Remember that you're talking about "media" and not "medium". The first is the existing state of the artifact. The second is the process by which you create or experience the artifact. These two terms became conflated somewhat during the evolution of the term "medium" and medium forms themselves - e.g. in painting the "medium" is the paint type (and subsequently by merging process (painting) into object - the painting. The process becomes the artifact), but in television the transmission is also integral. What is the transmission of a painting? The viewing (experiential) context (and also the delivery method - though this is often unknown to the audience). Software is an experiential context - a medium. Not the media itself. I know that the medium is supposedly dead - but I think social communication platforms that restrict, limit, and shape our communication, like Facebook and YouTube, can definitely be seen as mediums.